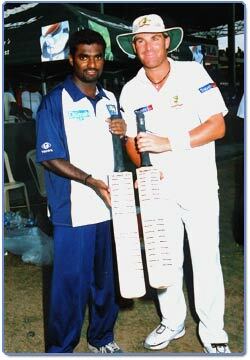 Murali & Shane at the SSC grounds, Colombo. 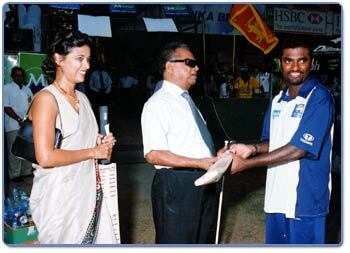 Murali presenting a bat to SLFVH President Mr. Navaratne Banda with SLFVH volunteer Mrs. Dilhara Fernando looking on. 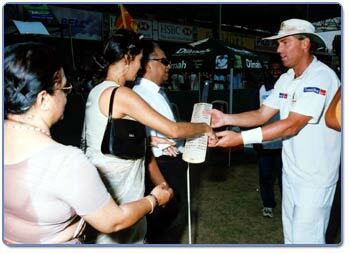 Shane presenting a bat to Mr. Navaratne Banda, with Dilhara and Mrs. Rohini Weerasooria, SLFVH.